A new website offering a wide range of clad metal and metal alloy wire, rod, and strip compositions for use in virtually any industry including aerospace, cathodic protection, defense, electronics, and medical devices is being introduced by Anomet Products, Inc. of Shrewsbury, Massachusetts. The Anomet Products Innovative Clad-Metal Wire Solutions Website describes a broad range of composite clad-metal products that solve the problems of design engineer’s with respect to performance, ductility, formability, and cost over solid wire, rod, and strip. Products include clad molybdeum wire, titanium clad copper, nickel clad copper, copper cored/clad glass sealing alloys, and numerous other compositions of precious metal-clad wire. Providing intuitive navigation, the Anomet Products Innovative Clad-Metal Wire Solutions Website includes descriptions and specifications for listed products. For example, multi-clad wire can include platinum for oxidation-corrosion resistance and biocompatibility, gold for contact resistance, and palladium or silver. Each alloy can be clad to core materials such as copper, niobium, molybdenum, stainless steel, tantalum, and titanium. 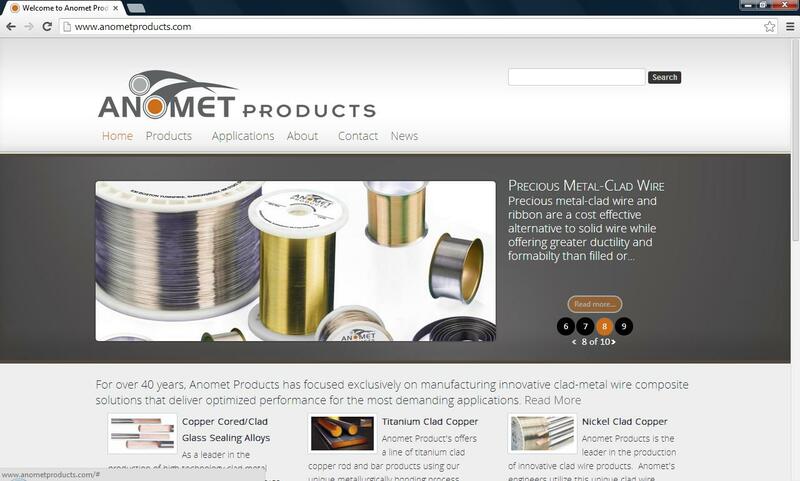 The Anomet Products Innovative Clad-Metal Wire Solutions Website can be visited at www.anometproducts.com.